Red Snapper fish is one type of fish snapper found in the waters of Indonesia. As the name implies, this type of fish has a red scales. Red Snapper contains many nutrients that are beneficial to health. 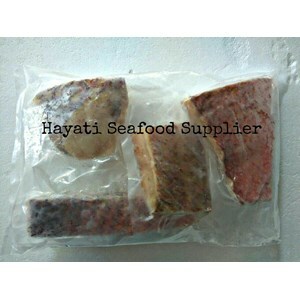 And the content of these nutrients include protein, minerals, omega-3, vitamin D, vitamin E, vitamin A and potassium.Ikan Red Snapper that we sell now in the form of frozen fillets, packaged neatly and hygienically making it more practical and quick in cooking. Let's order right now ..